Living with a physical or mental disability can be a difficult burden to overcome. It can cause the inability to work or the inability to work on a full-time basis. As the cost of living is constantly on the rise, the monetary burden may be too stressful to handle. The Canadian government recognizes these burdens and took effective measures in order to help out citizens in provinces such as Quebec. If you are living with a severe impairment; a citizen may qualify for the Quebec Disability Tax Credit. This tax credit is non-refundable and helps to reduce the amount of income tax an individual with a disability has to pay. Being a part of other programs such as the Canada Disability Child Benefit will not exclude you or a minor from qualifying for the Quebec Disability Tax Credit. Who qualifies for the Disability Tax Credit in Quebec? There are numerous physical and mental disabilities that restrict a person from performing basic activities in their day-to-day lives. There are three basic conditions that qualify you for the Quebec Disability Tax Credit. The individual must have a severe impairment; mental or physical. This impairment may not be temporary. If must be a severely prolonged impairment which will last greater than 12 months. A licensed doctor or qualified practitioner must have a professional opinion stating that an individual is severely impaired. They must detail the restrictions in performing day-to-day activities and sign off on the lower section of Tax Form T2201. There are certain tax benefits for an individual who qualifies for the Quebec Disability Tax Credit. However, there are others who may also qualify for some of these benefits. Not only will the individual receive benefits, but a spouse, parent, or caregiver may receive partial benefits as well. They may receive benefits such as a refundable tax credit for medical expenses that were paid. They may also be able to deduct medical services that were out of area and the medical expenses themselves. You must be a resident in Canada the entire tax year. You must be a resident in Quebec on the last day of the tax year. You must be 18 years of age or older by the last day of the tax year. Prolonged medical expenses were paid for 12 or more months, consecutively. The expenses must have been for the person with the disability. Income must be over $2,715 for the calendar year. Family income may not exceed $41,745 for the calendar year. If you meet these eligibility requirements; you qualify for this medical expense refundable tax credit. This is another great credit to help families with the monetary burdens of living with a disability, or caring for a loved one with a severe disability. Those who qualify for the Quebec Disability Tax Credit are encouraged to take advantage of the other programs that the Canadian Revenue Agency has to offer. In addition to the Refundable Tax Credit for Medical Expenses; there are other beneficial programs offered such as: the Registered Disability Savings Plan, Canadian Disability Savings Bonds, and Canadian Disability Savings Grants. They all lessen the monetary burdens in life and help you or your loved one to focus on your daily activities. 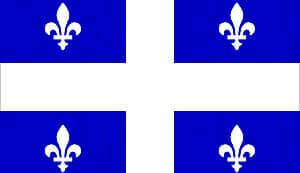 For help with Quebec disability tax credit call us now!